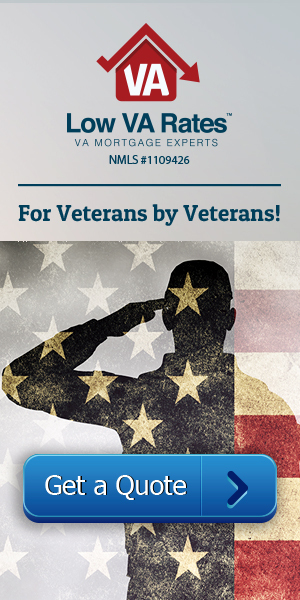 The 100 refinance loan option can be very beneficial, unfortunately, many veterans simply wait too long to refinance. People often do not understand the benefits and never give it a second thought. Refinancing your home can ease a lot of financial stress. It can shorten the loan term, lower rates, lower payments, get cash from equity, and switch an ARM to a fixed-rate mortgage. If any of these results sound appealing or necessary for you right now, start looking at mortgage refinancing options and factor this into your future financial plans. The choices seem endless. One of the biggest questions to ask is how much will this new loan cover? The amount of your home’s value that you’re borrowing is called the loan-to-value ratio or LTV. For many loans, there is a limit to this. So if the limit is 80 percent, the loan can only cover 80 percent of the house price while the rest is made up in down payments, meaning the higher the LTV, the higher the risk for the lender. What does 100 percent refinance mean? 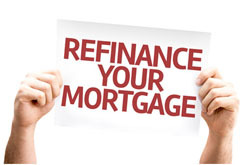 A 100 refinance improves the terms of your existing mortgage and gives you additional cash to pay other expenses. But how does this work exactly? Financing your home for a fraction of its price isn’t enough sometimes, even if that does cover the remaining amount of money you owe on your house. With 100 percent refinancing, you are taking out a loan that includes all of your home’s price. Since you’ve probably already paid off some of your house by now, you are taking out more cash than you need, which means all that extra cash is going into your pocket to use for other expenses. Like I said, with a higher LTV, there is more risk, but this option is still available through many lenders. There are several benefits to taking the cash-out refinance route as well as a few drawbacks. First of all, lower interest rates. This is a refinance cash out, so one of the main purposes is to lower the current interest rates in order to lower monthly payments. Paying less and getting extra cash sounds appealing to many people. Another benefit is that the extra money you get is tax deductible but not taxable. One more thing to consider is that you’re just getting one new loan rather than taking out a second mortgage. However, these pros are matched by the cons. With a 100 refinance cash out, there is stricter underwriting which could mean more liability. This option also takes a lot more time to process than a VA IRRRL or other streamlines, so if you were hoping to get everything finalized within two weeks, you’d better readjust your plans. When you refinance with cash out, you also must take out mortgage insurance. At least, with conventional loans. The VA doesn’t require this for cash out, but there are still closing costs on a VA refinance and for other cash-out refinances. Refinancing on a 100 percent mortgage, or on no money down home loans, is difficult. Most lenders require you to have 20 percent equity before you can refinance. If you don’t have that number yet because of how little time has passed and the current value of your home, there are a few steps you need to follow that will make this process a little more doable. First, talk to a lender. (Note that you don’t have to stick with your usual lender, especially if you feel like that lender’s policies don’t fit your needs.) Discuss your individual situation to them and explain that your equity is not very high. They will probably know of several solutions to your problem—remember, there are many refinance options out there, including several designed especially for those with low equity. You may also need to have your house appraised to figure out if the value has changed. Even with low equity, you still have options.